Legopuffle: Club Penguin Cheats was founded in 2009 by 3 friends named OgaitnasM, Topopato and Mane800. While OgaitnasM and Mane800 live in Mexico, Topopato lives in the USA. The sites original name was Puffle Maniaco (which means Puffle Maniac). The main purpose of the site was to help younger Club Penguin players with the game. We first started using blogger.com and have been using them ever since. 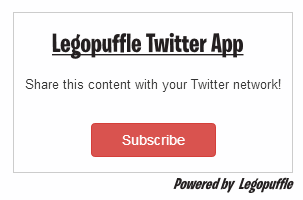 In 2012 the site was re-named Legopuffle and also started talking about LEGO. In mid 2012, OgaitnasM (who was the main owner at the time) quit Club Penguin selling his account, and the site to Mountain Studios Interactive (later re-named The Rocket Studios). Montain Studios Interactive (MSI) gave the account to Samuel, who was in charge of rebuilding the whole site. Both, Topopato and Mane800 were hired by MSI. Topopato would code the new template, Mane would be in charge of posting, and OgaitnasM would be in charge of the new Legopuffle: Club Penguin Cheats and Lego News. About Legopuffle: Club Penguin Cheats and Lego News. 2013 arrived and Legopuffle: Club Penguin Cheats and Lego News was launched. The site became popular becuase of it simple yet interactive design. Topopato and Mane kept the site updated every week. Topopato got tired of the username and started calling himself by his real name, Jasson. The year went by and the site received pretty decent traffic. In February 2014, OgaitnasM suffered an accident and Henry Greg, MSI's CEO, left Jasson in charge of the site, Topopato recieved help from his co-worker Issabel. She liked working on Legopuffle and gave herself the username, Fire3000. During OgaitnasM's time out Jasson separated the LEGO News and the Club Penguin Cheats into 2 diffrent sites, opening The Daily Brick and re-naming Legopuffle: Club Penguin Cheats and Lego News to Legopuffe: CP Cheats. When OgaitnasM came back, he noticed Jasson had made a pretty good job and left him as Main Manager with Issabel and Mane as co-managers. This same year, Henry Greg quitted Mountain Studios Interactive, Ago Johns was hired as CEO and renamed MSI to The Rocket Studios. With Jasson in charge, Legopuffle: started updating it's design twice a year. Legopuffle V2 came out on 2014 (whichre-named the site Legopuffle) and Legopuffle V3 in 2015. The Rocket Studios opened RS Kids, the kids division of the company with Legopuffle proudly being the main project in it. As of December 2015, Legopuffle V4 just realesed bringing back the sprite of the original Legopuffle back in 2012, a simple yet attracting and interactive design.